High five! 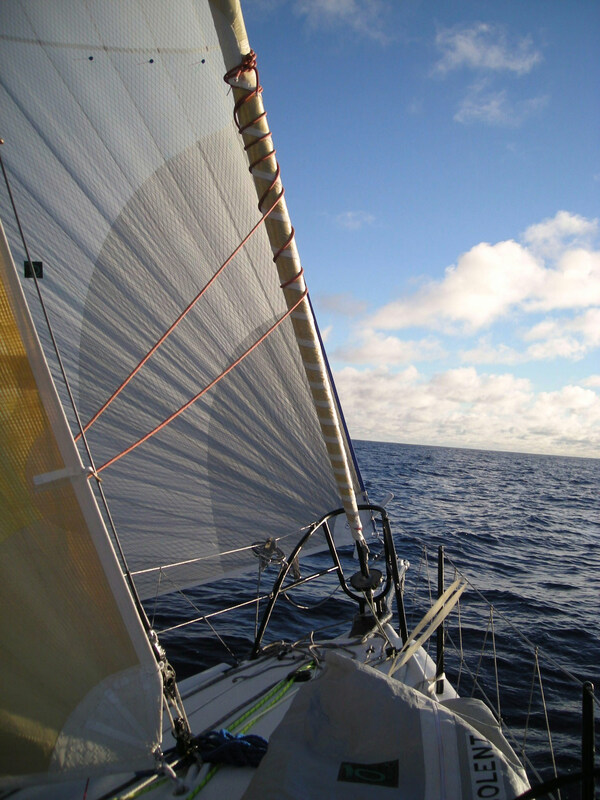 Now we’re going with 12 knots of wind, the kite and staysail up, and 10.5 knots of boat speed, pointing straight at Honolulu. The nice trade wind cotton puffy clouds are unmistakable. We’re pushing the boat hard and the reports are going to get shorter. It gets pretty physical. Coltrane’s Giant Steps are rocking the boat soon to be followed by Dave Matthews as the sun goes down we’re thinking about the Magic flute as we start going down the waves. We have all the playlists loaded! There is only one way to Honolulu: Surfing. Soon. Real soon. We hope. Night is settling in, a fast and busy night we hope. We found the trades, Fly Pegasus, Fly!